Multiple overnight break-ins reported in Montgomery Co.
MONTGOMERY COUNTY, Md. (WUSA9) -- Four break-ins that happened in Montgomery County overnight are under investigation, police said. One incident was reported around 2:50 a.m. at the Dunkin Donuts store in the Cabin John Shopping Center located in the 1100 block of Seven Locks Road in Potomac, according to Montgomery County police. SILVER SPRING, Md. (WUSA9) -- A man is recovering after he was shot at a motel in Silver Spring, Md., Montgomery County police said. The shooting happened around 11 a.m. at the Travelodge Motel at 8040 13th St.
One man was transported to the hospital with non-life-threatening injuries. Police do not believe the shooting was random. SILVER SPRING, Md. (WUSA9) -- Two suspects are believed to be responsible for two separate attempted bank robberies that happened in Silver Spring and D.C. late January. The first attempted bank robbery happened in D.C. on January 27 about an hour before the second robbery happened in Silver Spring around 2:30 p.m., Montgomery County police said. Detectives say the two men tried to rob the BB&T bank located at 3101 14th Street in Northwest, D.C. Later the suspects tried to rob the Capital One Bank located at 8676 Georgia Ave in Silver Spring. SILVER SPRING, Md. (WUSA9) -- Valentine's Day is this weekend. The rush is on to get everyone their flowers on time. 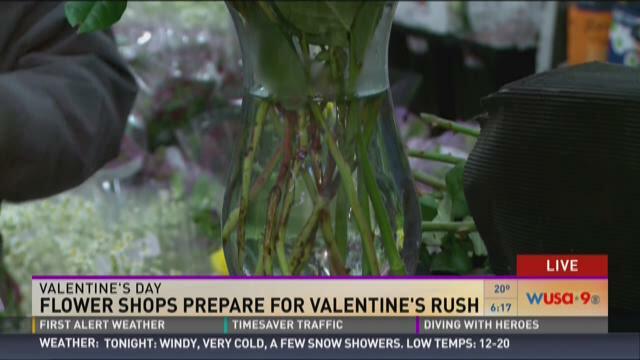 WUSA9's Nikki Burdine went to the Potomac Floral Wholesale in Silver Spring. She spoke with some of the busiest people in the business. SILVER SPRING, Md. (WUSA9) -- A 90-year-old water main that broke Sunday burst again Tuesday morning on Bonifant Street. At 2:30 a.m. a 10-inch water main broke in the 900 block of Bonifant Street. Officials with the Washington Suburban Sanitary Commission tell WUSA9 the same pipe ruptured Sunday. Crews spent Monday repairing the pipe. Only a section was replaced. Lyn Riggins, a spokesperson for WSSC, says this is typical for aging infrastructure during winter months. Riggins said it is likely the pipe will be flagged for replacement. For Lene Tsegaye, a business owner on the block, the broken water main meant another day away from her café. “This morning when I came to reopen, there was no water," said Lene Tsegaye, who was one of 22 customers without water service. Tsagaye reopened her business three weeks ago. She was forced to closed almost one year ago when a neighboring restaurant caught on fire. COLESVILLE, Md. (WUSA9) -- Crews are responding to a partial collapse at a Colesville church Monday afternoon, Montgomery County Fire and Rescue said. The collapse happened at the Shiloh Christian Fellowship located at 14905 New Hampshire Avenue, officials said. 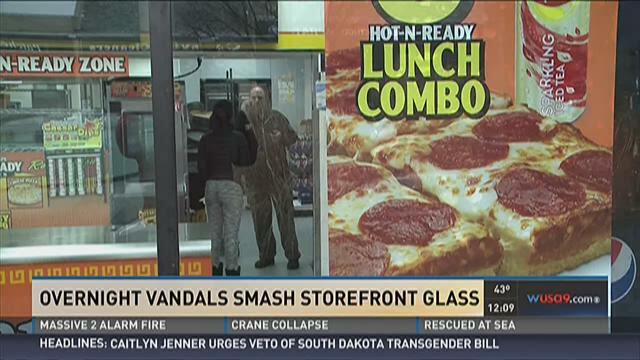 No injuries have been reported as of yet. A building inspector has been requested. There is no fire hazard. SILVER SPRING, Md. (WUSA9) -- About a year after Danielle Meitiv made national headlines for letting her children walk around their neighborhood by themselves, the Montgomery County mother is reaffirming her commitment to free-range parenting through a song. It’s funny how our parents just let their kids play ball. And the fears we let control us didn’t bother them at all. It’s time to see what kids can do. Let them test their limits just like you. SILVER SPRING, Md. (WUSA9) -- An 82-year-old man from Haiti who is visiting family in Silver Spring has gone missing, Montgomery County police said. Innocent Camille was last seen in the 12800 block of Broadmore Road off of E. Randolph Road in Silver Spring around 7:30 p.m. on Thursday, authorities said. Camille is from Haiti, however is staying with a relative in Silver Spring. Camille is described as black man, standing 6 feet two inches tall and weighing 150 pounds, police said. He has a thin build and short hair that is turning gray. He was last seen wearing a white and blue shirt, tan pants, and hospital shoes. He may have also been wearing a brown hat. Police said Camille just had surgery on hit foot, has diabetes and may show some signs of dementia. SILVER SPRING, Md. (WUSA9) -- A man was hit by a car Friday night in Silver Spring. According to a Montgomery County fire spokesperson, the accident happened near the intersection of Randolph Road and Serpentine Way. The man is reportedly in critical condition.